Turner puts Vashon’s Finnegan McClure down hard. 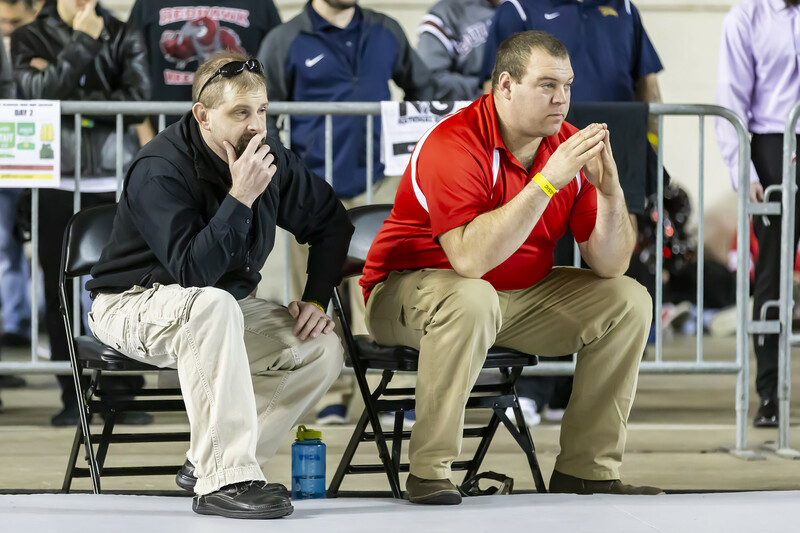 Oak Harbor coach Larry Falcon (left) and Coupeville wrestling guru Tyson Boon monitor the mat action. Turner and Lakeside (Nine Mile Falls) grappler Micah Tenny go to work. 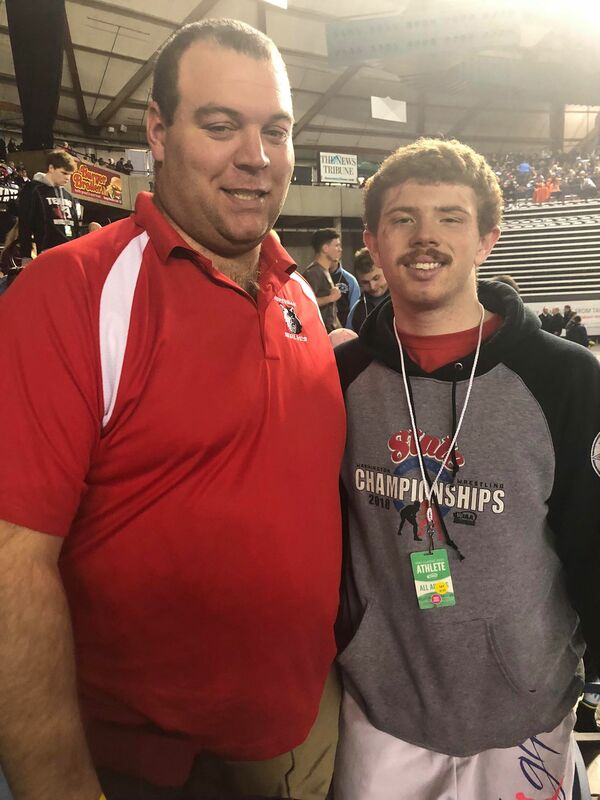 Coupeville High School senior Alex Turner, a grappler without a program, had a successful run this weekend at the state championships, and John Fisken bounced around the Tacoma Dome shadowing him. The nimble Whidbey paparazzi was also at Mat Classic XXXI to shoot Oak Harbor’s batch of wrestlers, but they have their own media outlet to hype them up, so here the focus falls solely on the Lone Wolf. The Lone Wolf grappler heads for the door after outscoring his foes 33-10 at the state wrestling championships. The road ended a little earlier than hoped, but the trail has been blazed. 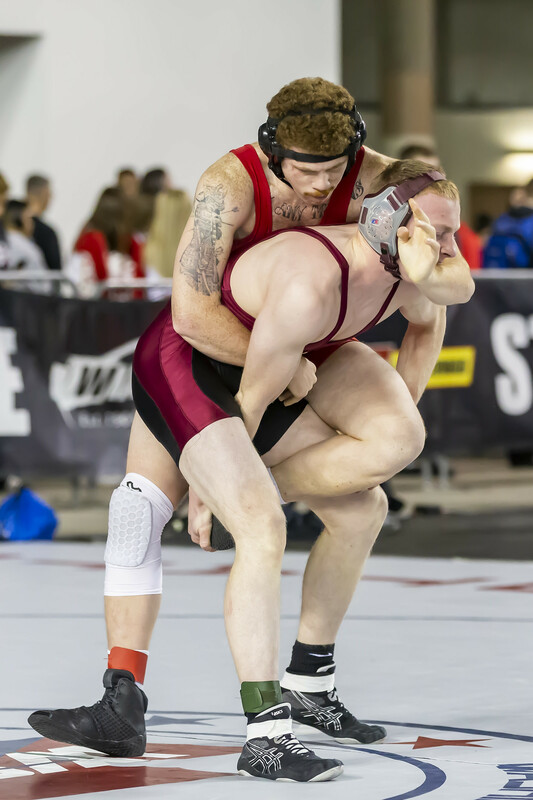 Coupeville High School senior Alex Turner, a one-man Wolf wrestling crew, was eliminated on day two of the super-sized Mat Classic XXXI at the Tacoma Dome. Turner lost by the narrowest of margins Saturday, nipped in a 2-1 decision by Jared Pendell of Medical Lake in an elimination contest in the 170-pound division. While he fell just shy of earning a state meet medal, Turner finished his first run at the championships with a 2-2 record, having outscored his foes 33-10. Both of his victories Friday were blowouts, while his losses, one Friday, the other Saturday, came down to the final moments of full-length matches. 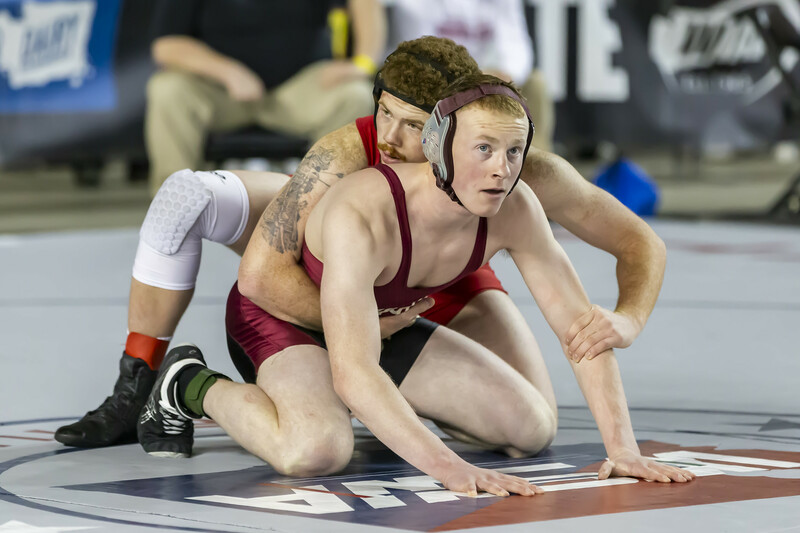 After wrestling for South Whidbey previously, where he was an alternate to state as a junior, things changed when Turner and his family moved back to Coupeville, where he attended middle school. 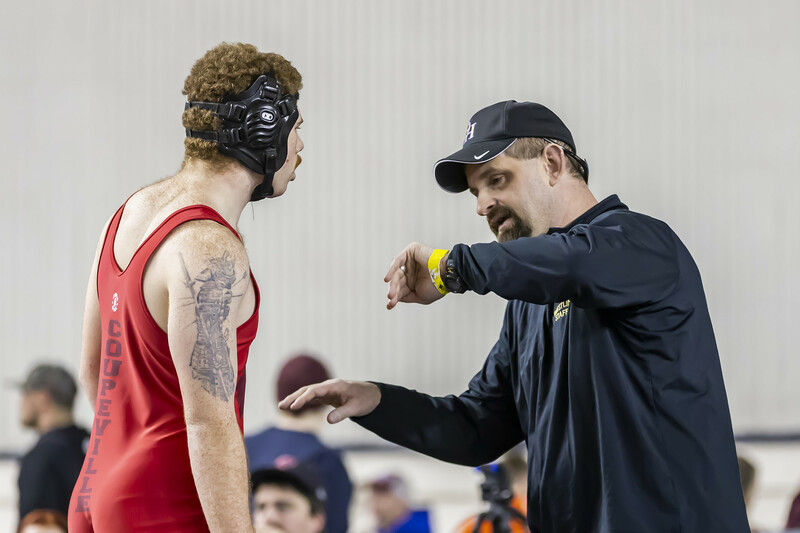 CHS has never had a wrestling program, one of just a handful of 1A schools which don’t, so Turner trained, traveled and wrestled alongside 3A Oak Harbor, while not adding to that school’s scores. Once the postseason started, he returned to 1A, where he swept three matches en route to winning a sub-regional title. Snowmageddon swept aside the regional tournaments, kicking Turner on to state, where he was part of record-sized 32-man brackets. The state meet traditionally fields 16-athlete brackets, and will return to the format next year … barring another winter weather surprise. While Saturday marked the end of Turner’s unique mat odyssey, CHS assistant football coach Tyson Boon, who escorted the grappler through the postseason, hopes it marks the start of more. “Yes, that is the end of this story, but I hope it starts a new chapter for Coupeville,” Boon said. “If Coupeville can get a wrestling team out of this, Alex can always say he paved the way and opened the door. He’s in it for the full run. 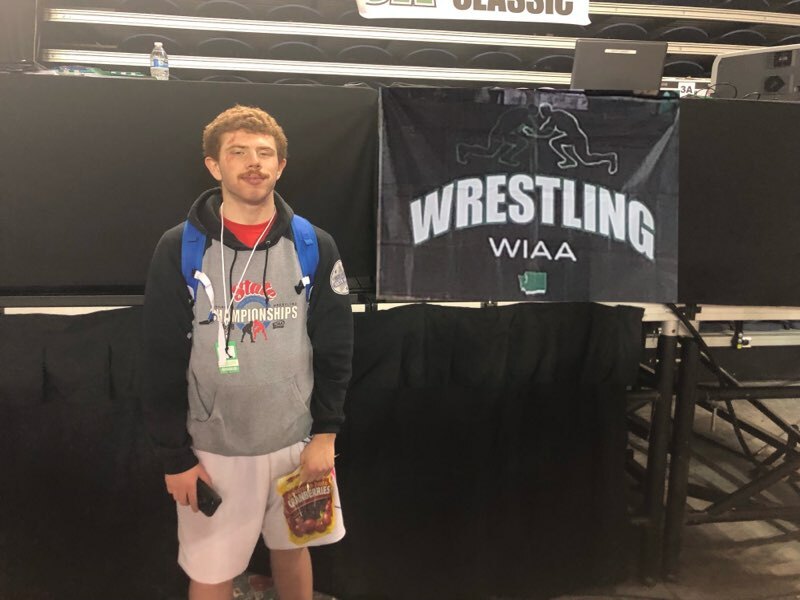 Coupeville High School senior Alex Turner, a one-man Wolf wrestling team, won two of three matches Friday at Mat Classic XXXI in Tacoma, keeping alive his quest for a state meet medal. Surviving day one of the super-sized event, he’ll return to the mats at the crack of dawn Saturday, and is in the mix to finish as high as 3rd place in 1A in the 170-pound class. Turner opened against Finnegan McClure of Vashon Island and whacked him, hard, claiming a 15-0 technical fall. His middle match of the day was his toughest, as he fought through three full rounds before being nipped 7-4 by Micah Tenny of Lakeside (Nine Mile Falls). With his back to the wall, and knowing a second loss would knock him out of the tourney, Turner reached down deep to deliver another smack-down. Running Juan Perez of Highland off the mat to the tune of a 13-1 majority decision, he capped a day in which he outscored his foes by a combined score of 32-8. Turner opens Saturday against Jared Pendell of Medical Lake. Win there, and he moves on to face the loser of a quarterfinal match between Sammy DesRoches of Riverside and Brett Moody of Forks. Those two are the #3 and #4 ranked 170-pound wrestlers in 1A this season, respectively, and DesRoches finished 2nd at state last season. Put together another solid run Saturday and Turner could earn the first wrestling state meet medal in CHS history. To do that, he needs to earn a top-eight finish. 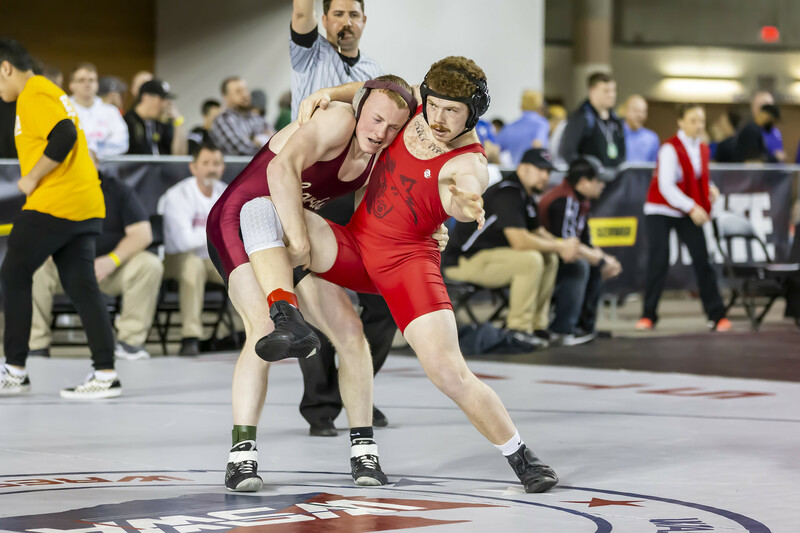 Since Coupeville has never had a wrestling program, Turner, who transferred to Coupeville from South Whidbey for his senior year, trained and traveled with 3A Oak Harbor. He returned to 1A for the postseason and swept three matches en route to winning a sub-regional title. 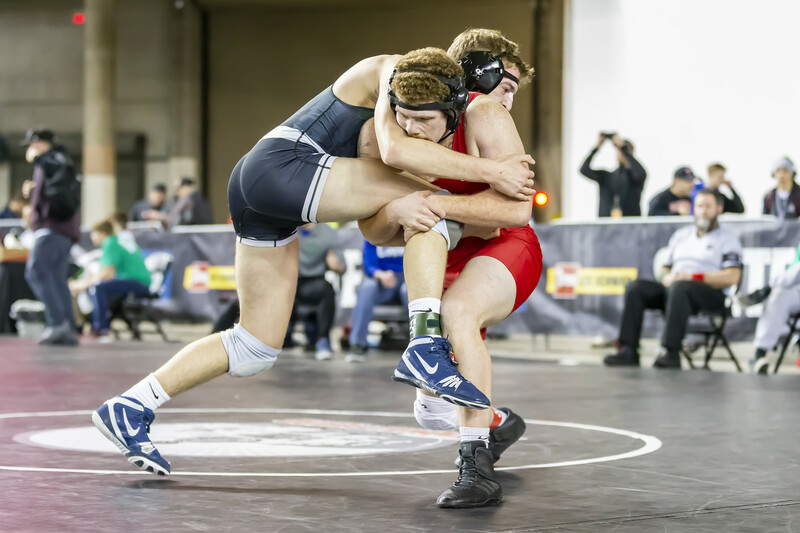 After snow and ice wiped out all regional tournaments across the state, the WIAA elected to advance everyone to state, working with 32-athlete brackets in each weight class. The state plans to return to 16-athlete brackets next season, as in years past. The brackets for this weekend’s super-sized edition of the state wrestling tournament were posted Monday, and now Coupeville’s lone grappler knows his path. 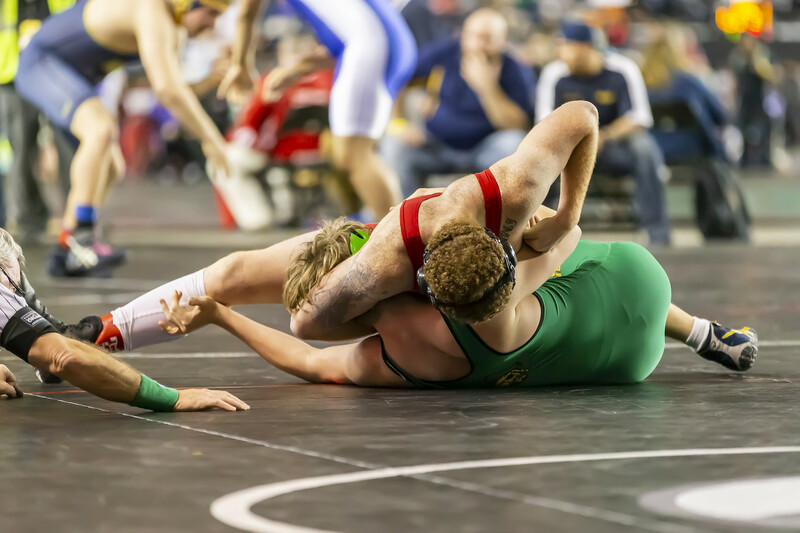 Wolf senior Alex Turner is one of 32 wrestlers with still-active dreams of winning a 170-pound 1A title at Mat Classic XXXI, which goes down Feb. 15-16 at the Tacoma Dome. The field is double the normal size, thanks to snow, ice and other hazardous conditions wiping out regional tournaments. Turner, who swept three matches to win a sub-regional title, opens the state meet against Vashon Island sophomore Finnegan McClure. A win in that match, and he would be 20% of the way to the five victories he needs to become the first wrestler to ever hang a state title plaque on Coupeville’s Wall of Fame. The lack of plaques isn’t a huge surprise, as CHS has never had a wrestling program of its own. After transferring from South Whidbey, where he was an alternate to state as a junior, Turner trained and traveled with 3A Oak Harbor this season, then returned to 1A once the regular season ended. Since every wrestler needs a coach to be eligible, Coupeville assistant football coach Tyson Boon is shepherding Turner through the postseason. When the lone Wolf grappler hits the mats this weekend, he’ll be facing what seems like the better half of the draw. Four of the top six ranked 1A wrestlers at 170 pounds are in the top half of the draw, while Turner is slotted in the bottom half of the field. #1 Wayne Baker of Castle Rock, a state champ at 160 last year, headlines the draw, and he, #2 Navarro Nanpuya of Omak, #5 Alejandro Llernas of Kiona-Benton, and #6 Hunter Wallis of Klahowya are jammed together. Turner’s half of the draw is led by #3 Sammy DesRoches of Riverside and #4 Brett Moody of Forks. 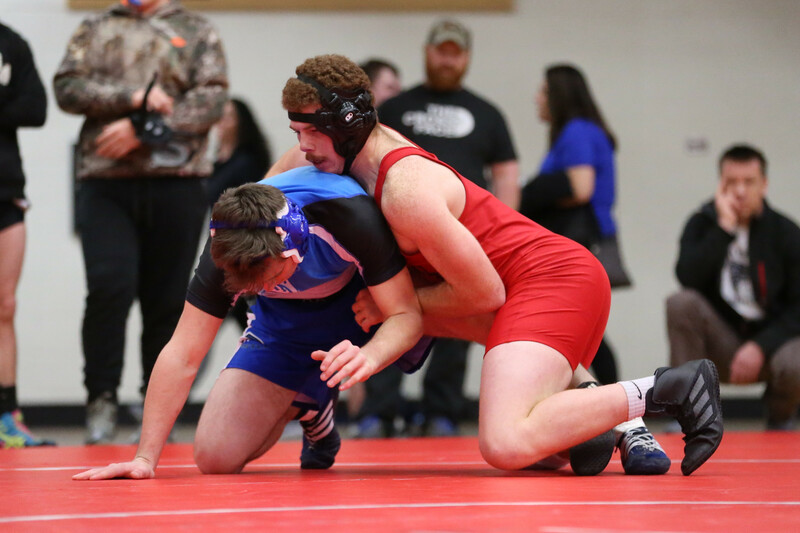 The Washington Wrestling Report ranks the top 12 in each weight class, and the earliest Coupeville’s entry could find himself facing off with any of those grapplers is the quarterfinals. If he wins his first two matches, Turner would likely find himself squaring off with either #9 Tristan DeOchoa of Zillah or #11 Jesus Ramos of Connell. Those two, for some reason, meet in the first round. DesRoches, who claimed 2nd last season, is the only top-eight finisher from the 2018 tourney to make it back into 1A’s 170-pound draw in 2019. Three graduated, while two others are now in different weight classes. The final two, including last year’s champ, Kaden Krouse, are in 2B after Chewelah successfully lobbied to drop all of its sports programs down a rung starting with the 2018-2019 school year.